Killer dolphins on the loose! You are at:Home»Foreign navies»Killer dolphins on the loose! Remember a few months ago when we told you that the Ukranian navy was training dolphins to attack enemy divers with guns and knives attached to their heads? Well, apparently they are missing in the Black Sea, and may have been wearing their lethal headgear at the time of their escape, Gawker reported Tuesday. Only two of the five trained dolphins returned to their home base after a training exercise earlier this month, Russian news site Ria Novosti reported. Experts said that the three missing male dolphins were likely lured away from their training by the urge to find a mate. The Ukranian military denied reports that the dolphins were missing. 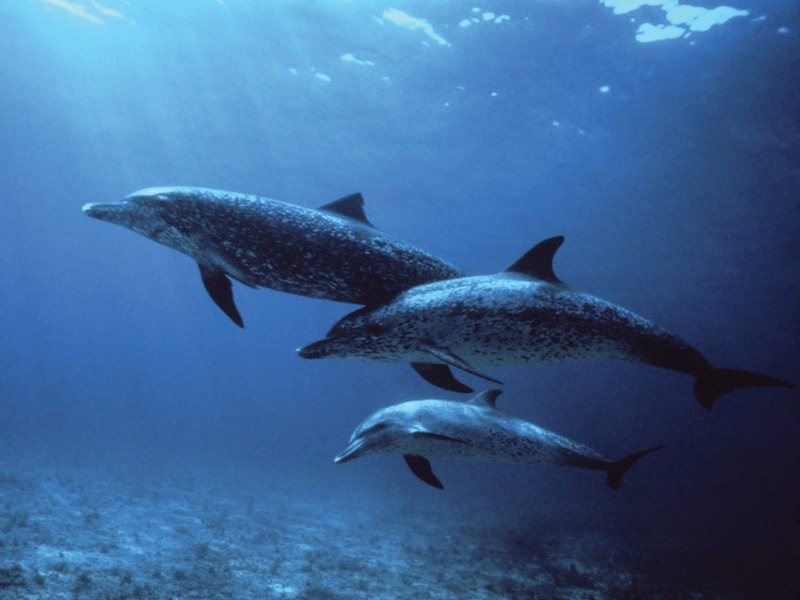 This isn’t the first time lethally-trained dolphins have gone missing. Closer to home, dolphins trained to shoot terrorists with dart guns in the Gulf of Mexico escaped in 2005 when Hurricane Katrina destroyed their enclosure, The Guardian reported. Update: It appears that killer dolphins are not actually on the loose. The Atlantic is reporting that the original report was a hoax.